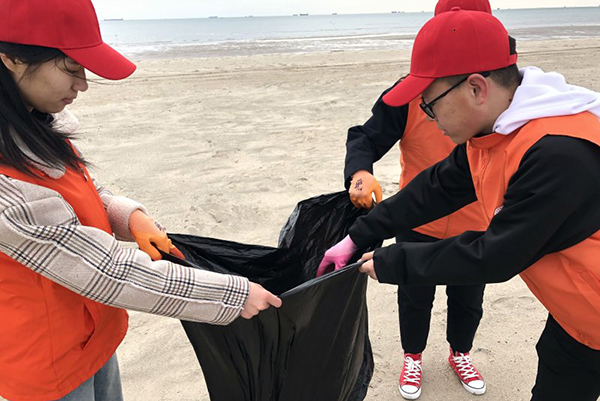 [News from the News Center] In order to carry forward the spirit of Lei Feng and voluntary services, Communist Youth League YSU Committee organized more than 100 YSU young volunteers to engage in cleaning the beach to build Qinhuangdao into a beautiful coastal city, responding to the call of Communist Youth League Qinhuangdao Municipal Committee for inheriting the spirit of Lei Feng and striving to be the pioneer of the times. Volunteers are cleaning the beach. 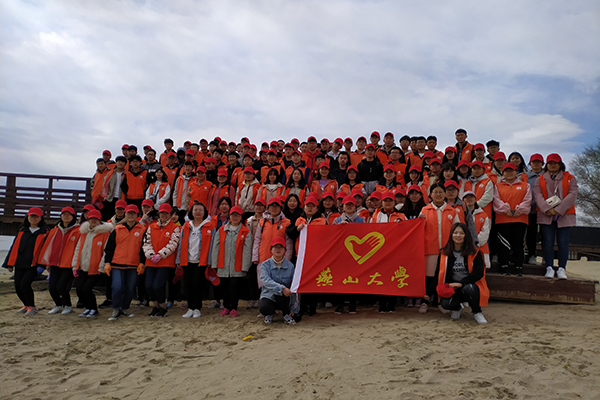 At 9:00, on March 30, the volunteers gathered at the designated area, and overcame the difficulties to clean the beach. The volunteers picked up the plastic waste, paper scraps, cigarette butts and other wastes on the beach, and cleaned the corners on both sides of the plank road. After two hours of hard work the beach got a completely new look. The volunteers’ orange vest formed a beautiful landscape on the seashore. In recent years, YSU young volunteers have actively taken practical action to protect the ecological environment in voluntary activities such as cleaning up the beach and publicizing marine protection knowledge. They exemplified YSU students’ strong sense of social responsibility and contribution to the building of a hygienic city.